We understand that the death of a close relative or friend can be a difficult and distressing time. We can make matters simpler by offering assistance to the Executors of a Will or a deceased’s next of kin (if they died without leaving a will, known as an ‘intestacy’) in concluding their financial and other affairs. What work will you do for me? confirm the extent of all the assets, including property, savings and investments as well as any debts owed by the Estate. deal with all tax related matters, including the calculation of any Inheritance Tax due, as well as other taxes such as Income Tax and Capital Gains Tax which may arise during the course of the administration. apply for a Grant of Probate (where there is a will) or a Grant of Letters of Administration (where there is no will). If required, this is decided by the value of the estate and needed to enable the Executors to administer the instructions and wishes contained within the Will, or to follow the rules of intestacy. In applying for a Grant of Probate/Grant of Letters of Administration an estimate of the final value of the Estate is prepared by us which we then update when actual values are realised. Usually this includes the sale of assets in accordance with the wishes of the Estate, such as houses, cars, jewellery, art, stocks and shares etc and this is then added to various other classes of assets, such as insurance payments, refunds, pension settlements, the release of bank balances and so on. work closely with the Executors during this process which can be lengthy as sales are realised and maintain a constantly updated financial statement as we go along. It is very important that we assist as much as possible to maximise the value of the return from sales and settlements and we maintain ongoing professional links with other professionals, such as auction houses, stockbrokers, tax accountants and advisers to assist. 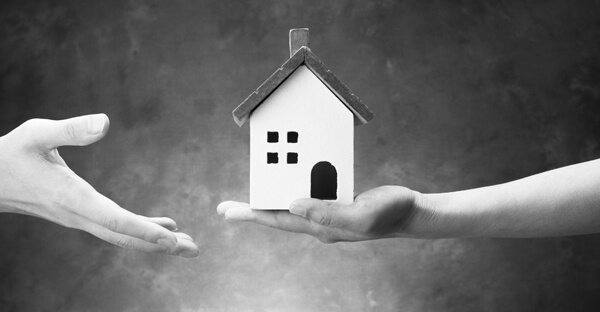 distribute the assets in accordance with the Will or intestacy. Depending on the size of the estate and the complexity of the distribution between the beneficiaries we can make interim payments as and when we receive funds into our client account. That too would be following our advice to executors and their subsequent instructions to us. It is best to explain how a simple probate matter would proceed assuming that the value and structure of the estate is straightforward and the distribution of the funds is simple. In this scenario we would expect to obtain a Grant within three months of the date that the individual died and to complete the administration of a straightforward estate within a further three months of that date. However, we are in the hands of third parties for the majority of the work done and delays can occur, for example if a property sale falls through without notice. Frequent communication between the Executors and their legal advisors here is very important, particularly if something happens to slow the process down. ranges from between £2,000.00 to £3,500.00 plus VAT (£400.00 to £700.00). These costs are based on hourly rates of £195.00 to £215.00 plus V.A.T. per hour depending upon the level of experience of the fee earner dealing with the matter. Probate court fees- These are the charges made by the Court to register the Grant and costs £155.00 plus £0.50p per additional sealed copy of the Grant. Trustee Act notices- It is usually recommended that Personal Representatives place advertisements in the London Gazette and a local newspaper to notify creditors of their death and which typically costs between £165.00 and £200.00. Swearing the oath for Executors/Administrators– £5.00 plus £2.00 for each additional document (i.e. a will or codicil) referred to. Bankruptcy search fees– required before payments are made to beneficiaries at a cost of £2.00 per person where they reside in the UK. Work relating to the submission of an Income Tax or Capital Gains Tax return. It also assumes that the beneficiaries are easily contactable and that there are no more than ten separate assets and six different beneficiaries of the estate in total. Dealing with delays caused by organisations or individuals failing to respond to correspondence in a timely manner. Matters involving a transfer of property will be charged separately, often with additional disbursements payable. Further advice regarding Inheritance Tax savings including matters relating to Deeds of Variation will also be charged separately. More complicated cases will be quoted on a case by case basis before we start any work for you. where there are more than six beneficiaries. We are very proud of the team of legal advisers we have here to assist clients through this difficult time. Scott is a very experienced private client solicitor, he qualified 17 years ago and has built the department up to a very impressive 25% of local market share, so, one in four probate cases in the Malvern Hills District area are handled by Scott’s team at Russell & Co.
At the beginning of February 2019 Ralph will have been qualified as a private client solicitor for 50 years. Ralph is a specialist in setting up and administering Trusts which we see a lot more of these days. Lara qualified as a solicitor four years ago after completing her training here. She moved straight into the private client department and has one of the highest client satisfaction scores in the whole firm. Each of our solicitors has their own Personal Assistant, which is very unusual these days. The PAs are very experienced in their own right and are valuable members of the team who will play an important role in communicating and supporting you throughout the whole process. Scott is supported by Georgina Farmer, who has been working in the Private client Department for 16 years, Lara has direct assistance from Tracey Baynhamwho has been a valued colleague here for 20 years and Ralph is looked after by Donna Tustinwho has been assisting him since he joined the firm 4½ years ago. Alongside the team you will also be supported by the administration team headed by Brian Herdmanour Practice Manager, who will assist if you have any issues that you would like to discuss with us that are not linked to your legal advice. You will meet our receptionist Georgina Hart who will greet you when you come to see your solicitor, our admin assistant Olivia Marshall who manages our Will store and archives and David McGee our legal cashier who will assist with your financial relationship with us. The price we quote will be as accurate as we can make it and any potential variation will be highlighted for you before additional costs are incurred. For a guide a more complex matter will result in fees of around 2% of the value of the estate plus VAT plus disbursements. In addition, in complex cases, as defined by the law society a value based charge may be added in accordance with the criteria set out in the Solicitors (Non Contentious Business) Remuneration Order 2009.